The company was born in Somma Vesuviana (Naples) near the Vesuvius National Park, where the mild climate and adequate territory allow the growth of fruit with unique features. Since 1930, Vincenzo Caputo has produced and packed dried fruit, initially under the brand “La Donnina”, which immediately became a synonym for high quality products: a combination of tradition and quality that led to superlative results. In the small fruit shop owned by Angelo Caputo, a young Vincenzo helped his father with passion and perseverance until he decided to start his own business. He soon became successful thanks to the introduction of the commercialisation of dried fruit, especially walnuts and hazelnuts. That was the beginning of some huge investments in production installations. The first manufacturing facility was born in the 1950s and was located just where the company can be found today. A second one with a refrigeration facility (one of the largest in Italy) was created in the 1980s, thus allowing to have a storage of 1,500 tonnes. However, it was during those years that Vincenzo prematurely passed away, leaving his son Angelo, who was still a teenager, in charge of an already modern and organised company and some commercial relations with the large-scale retail trade. It’s easy to imagine how many difficulties the young Angelo Caputo faced and overcame to become to this day the only company director and creator of his own success on the national and international markets. 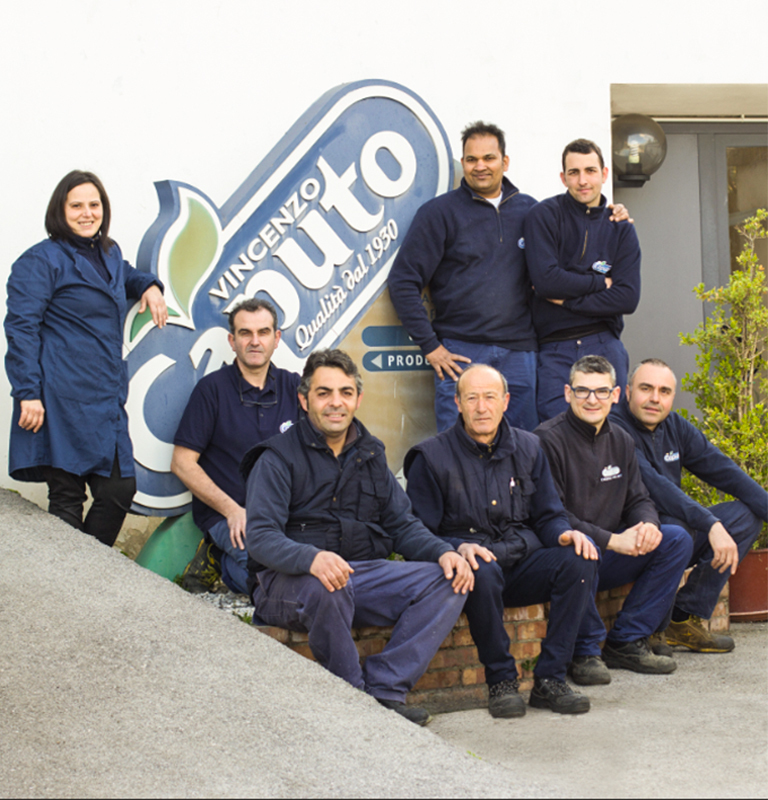 Today, Vincenzo Caputo is a great example of a modern, efficient and flexible company, which is based on important values like the careful selection of raw materials, the constant updating and improvement of the processes and the focus on the consumer well-being. The company has developed by coming into contact with the world fruit and vegetable market and by taking part in numerous conferences, some of which are organised by INC (International Nut Council), the prestigious and international nut association whose president is a member along with the most important companies of this field. The company’s industrial growth was possible due to the contact with international partners. In addition, the UNI EN ISO 9001:2008 quality certification, the BRC (British Retail Consortium) and IFS (International Food Standard) standards were chosen as requirements to offer the company’s products and services. Since Vincenzo Caputo Srl is the only company in Europe using facilities that are able to pack product mix with a fixed weight, its technologies are the most modern and its final products have high quality standards. It also has a surface of 12,000 square metres with a daily production of 1,500 quintals and a capacity of a refrigerated storage of 15,000 quintals. Our motto is to be always on the move: we’re constantly looking for the right balance between taste and wellness. We’re an organisation in progress and we strive to adopt new techniques for our business instead of the traditional manufacturing methods and standard offer. We love what we do, therefore we constantly strive to find ways of improving all aspects of our business life: people improve, processes improve, the offer itself improves. Every day, we select the best dried fruit and nuts of the Italian territory while also paying attention to the ones coming from other parts of the world. Our priority is to take care of our customers’ wellness by offering tasty and nutritious products, which are distributed through different sales channels in order to satisfy our customers’ needs and queries. Our current selection is made of nearly 8 product lines, each of which is characterised by high-value services, such as quality certifications or the control of nutrition and health claims. Consequently, our almonds, pistachios, hazelnuts, peanuts, walnuts, dehydrated fruit and snacks become different from their traditional counterparts: they’re no longer simple fruits, but they’re special products that only Caputo can offer.